As tablets are moving into a central role in technology users’ everyday personal and professional lives, it’s no surprise that almost every technology company on the planet wants to have a strong presence in the tablet market. However, chipmaking giant Intel has largely been left out of the revolution: while its processors power the vast majority of notebook, netbook, desktop, and server systems on the market, tablets are dominated by ARM-based processors from the likes of Samsung, Qualcomm, Nvidia, and (of course) Apple. Intel is looking to change that, however, with its new Atom Z670 “Oak Trail” processors, which can power 1080p viedeo playback and offer longer life than previous Atom offerings—and Intel says it offers more operating system flexibility than anything else on the market. Intel says the Atom Z670 can handle 1080p video output over HDMI, along with Adobe Flash so users can tap into rich online content and gaming, all without sacrificing battery life compared to earlier offerings. The Atom 670 features integrated graphics and a die size 60 percent smaller than its predecessors, reducing power and heat dissipation requirements. Intel also touts the processors as offering manufacturers more flexibility than any other tablet processor, with support for Android, MeeGo, and even Windows operating systems, and the systems sport an Enhanced Deep Sleep mode for improved power savings during inactivity. 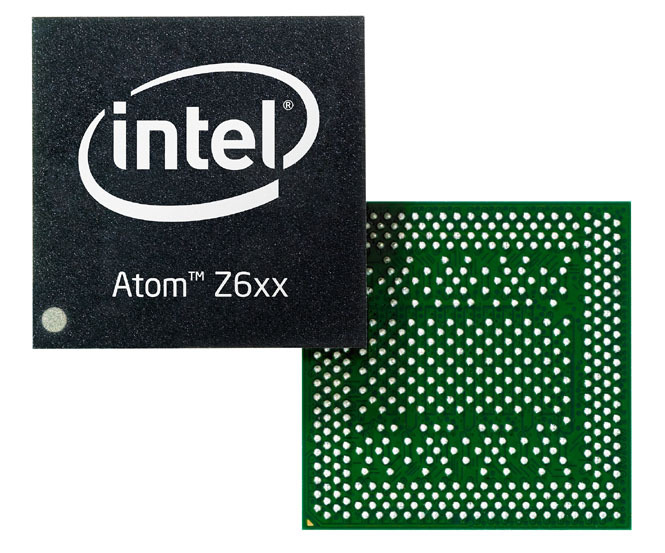 However, rather than pitching the Atom Z670 to consumer device manufacturers, Intel seems convinced the best market for the processor is vertical markets like devices for mobile clinical assistance, retail, and industrial applications—and they’re willing to back that up with seven-year lifecycle support for WIndows and MeeGo (but not, it seems, for Android). Nonetheless, manufacturers planning to bring out tablets based on the Atom Z670 includes Razer, Viiv, Motion Computing, as well as heavy-hitters Lenovo and Fujitsu. It remains to be seen whether Intel’s Oak Trail Atom processors—and the promised “Cedar Trail” Atoms promised to be next in line—will meet the power consumption and performance requirements that, so far, have driven the tablet market into the arms of ARM. And, lest we forget, one of the few things we know for sure about Windows 8 is that Microsoft plans to support ARM processors.